Food has a way of bringing you back to the time, place and company you enjoyed it with. I'm not talking every meal, but there are certain foods, especially ones that you grew up on that can transport you back in time. Such is the case with my Mom's famous cheesecake recipe. This cheesecake signifies Summer in all ways possible to me. It screams a warm Summer night where the coolest thing you are consuming is this perfectly smooth and rich cheesecake topped with freshly ripened berries. My first memory of this cheesecake was when I was at the young age that it was appropriate for me to sit on top of the picnic table in my bathing suit and beach cover up on a warm Summer night having a slice. My mom had made it for my August 7th Birthday that year and I didn't realize then what a lucky little girl I was. I also didn't realize that this cheesecake was going to be in our family for many many years to come. The graham cracker crust is the perfect foundation for the creamy layers of the sweet cheese filling. The middle layer is so rich and velvety, it melts in your mouth. What has always stood out to me the most about this cake is the top layer. It is so creamy and you get a hint of the sour cream when you bite into it. I love to top mine with raspberries but you could top it with any kind of berry. The combination of all of the amazing flavors has obviously left a very lasting impression on me, as it has now become one of our family traditions. My mom used to make this cake throughout my childhood for any excuse during the Summer: my Dad's Birthday, the 4th of July, my Birthday or anytime we had company. It is that good! This year I decided to start a new tradition with my husband and made it for the 4th of July. We enjoyed a slice together after the fire works and I told him about the first time I had tried this cake, and from the first bite he understood why I love it so much! I love carrying over family recipes and creating new memories. 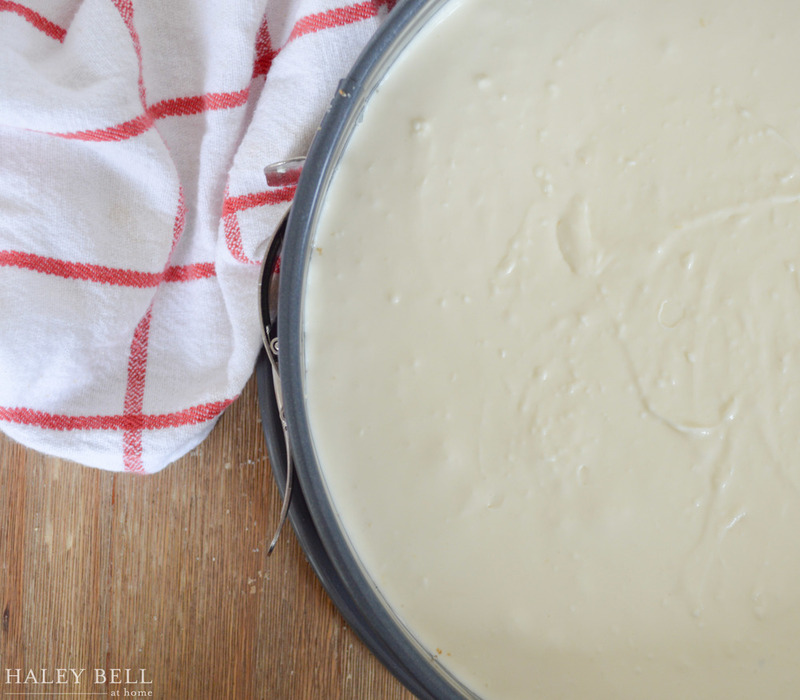 One of the other things I love about this cheesecake is that it can feed so many, so it is great to make for a celebration. 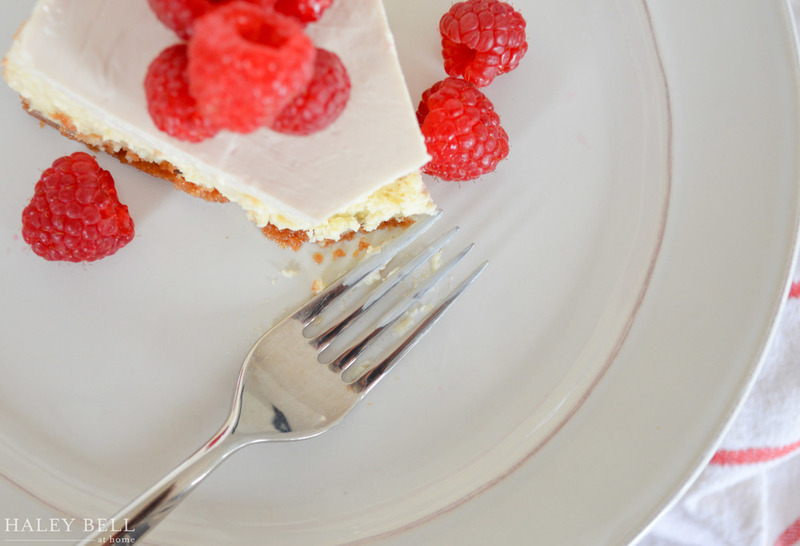 You can make it a day two in advance, so all you have to do is get out your favorite serving platter and plates, top the cake with your favorite berries and enjoy! 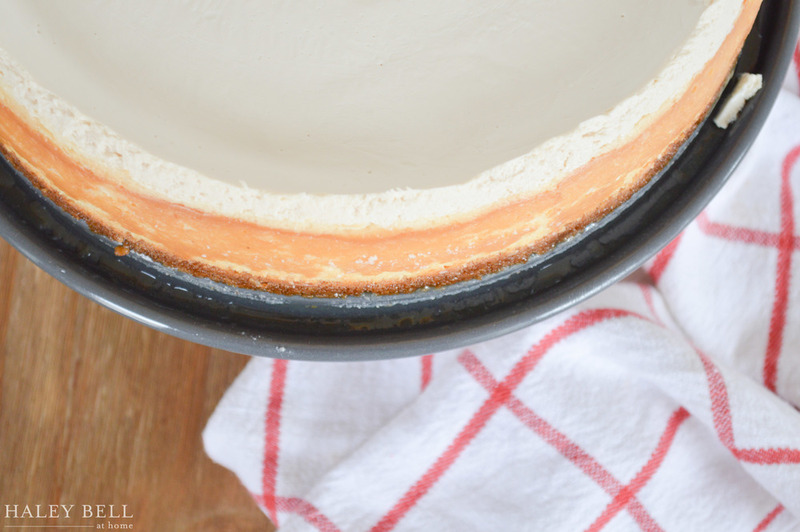 From our family to yours, I hope you enjoy this cheesecake recipe as much as we do! Grease a 9-inch springform pan. To make the crust, combine the graham cracker crumbs, sugar, and melted butter until moistened. Pour the mixture into the greased springform pan. With your hands, press the crumbs into the bottom of the pan to form a crust. Remove the cake from the oven and pour the topping mixture on top. Smooth it out with a spatula. Return it to the oven for 10 minutes. Take the cake out and let it sit at room temperature for 2-3 hours until completely cool. Wrap with plastic wrap and chill overnight. To serve, run a knife around the edge of the cake and release the spring-form. Serve on the bottom of the spring-from pan and garnish with berries . Enjoy!